Italica, was a great Roman city in the Hispanic province of Baetica and the birthplace of Roman Emperors Trajan and Hadrian. Placed 9 km NW of Seville, Spain is the town of Santiponce in modern days. Italica was founded in 206 BC by the great Roman general Publius Cornelius Scipio (Africanus) to settle his victorious veterans after the Second Punic Wars against Hannibal and the Carthaginians. The city was built upon a native Iberian town from the Turdetani, dating back to the 4th c. BC. Italica could have been named after the Italian origin of the veterans or directly after the Italian peninsula, for it was the first city founded outside this territory. The vetus urbs (old city) developed into a prosperous city and was built on a Hippodamian street plan, with public buildings and a forum at the centre, linked to a busy river port. At some point members of the Roman tribes Gens Ulpia and Aelia had moved to Italica, as these tribes were the respective families of the Roman emperors Trajan (97-117) and Hadrian (117-137) who were later born here. The site has been excavated extensively and some renovations have been done recently. The small baths and the Theatre are some of the oldest visible remains, built in the time of Augustus. 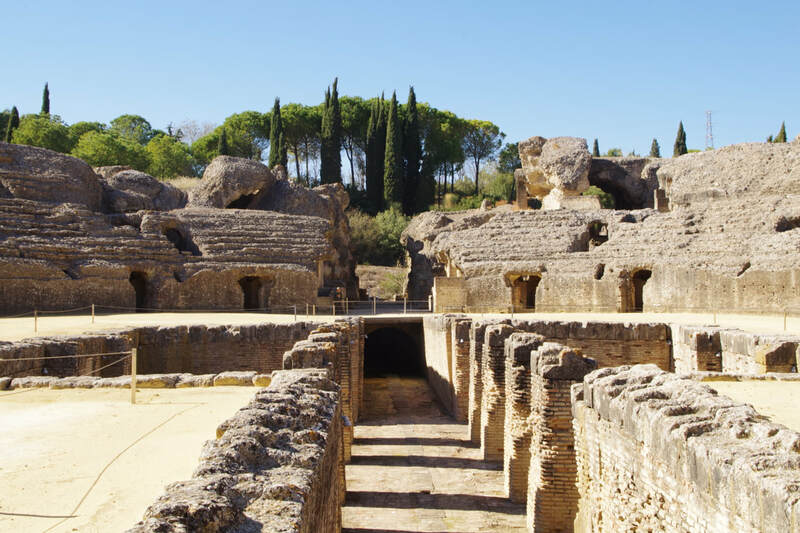 Italica’s amphitheatre was the third largest in the Roman Empire at the time. It seated 25,000 spectators, about half as many as the Colosseum in Rome. The central pit was used for animal cages (bears and wild boars) during gladiatorial combats. In 2016 it was used as a filming location for the internationally famous TV show Game of Thrones. Beyond this, on and around the wide main avenue or Cardus Maximus, about five large houses of prosperous families have been excavated, some with well-preserved, colourful mosaics, including floors with exquisite design of birds, the Neptune Mosaic, the Birds Mosaic, the Planetarium Mosaic, the mosaic of Hylas, and the Rhodian Patio. These mansions measured up to 15,000m2. The remains of the Traianeum, temple of the Emperor Trajan, Termas Menores and Mayores (baths), and the sophisticated sewer system normally seen in larger cities can also be seen here. The House of Cañada Honda. The excavations started in the seventies directed by prof. Luzón. The perimeter of the house was found and some of the walls restored, but most of the work was surface cleaning. Now, there is a two-year project to deeply study and excavate the house, of which one third of the plant still unknown. The ArchaeoSpain team will be staying at ​the hotel Anfiteatro Romano, located right in front of the main entrance to the site. Participants will share triple rooms with ensuite bathroom. The hotel is 7 km from Seville (bus every 30 minutes by the hotel door) and 15 minutes from the city's International Airport. Anfiteatro romano offers: fax / photocopier, luggage storage, 24-hour reception, meeting rooms, taxi service, laundry and Wifi. The rooms have: air conditioning, heating, WIFI, telephone, TV, hairdryer, shaving set, toothbrush set, iron. The restaurant has all the flavors of the Andalusian gastronomic tradition. For years, Seville has been the scene of films and TV shows. Films like Lawrence of Arabia or Kingdom of Heaven have been filmed in the city. But perhaps the brightest stars in cinematographic Seville are the "Palace of the Kingdom of Naboo", of Star Wars (Plaza of Spain), the "Palace of the Kingdom of Dorne" (Royal Alcazar of Seville) and Dragonpit (Amphitheater of Italica) of Game of Thrones. Baelo Claudia is an ancient Roman town situated on the Costa de la Luz, some 15km north of Tarifa, next to the town of Bolonia and the beautiful beach. Cadiz stands on a peninsula jutting out into a bay, and is almost entirely surrounded by water. Next topic: "Roman Fortress 2018. A great building for Lapis Specularis. 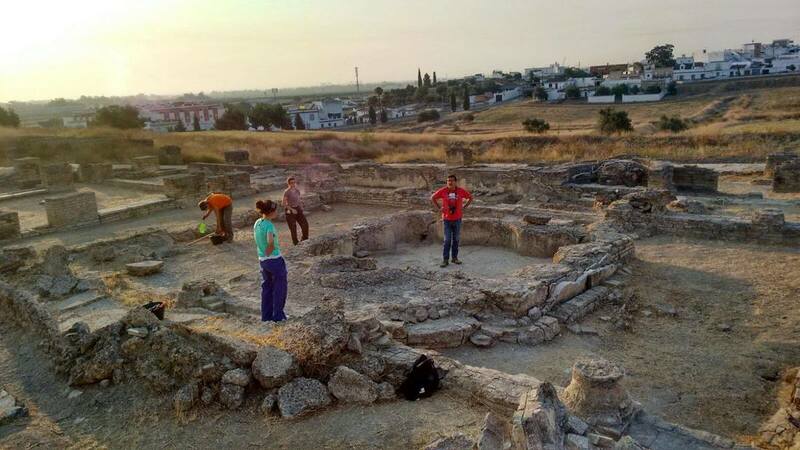 Spain"
Previous topic: "Aditu Osteology Summer School 2018"